Wagamama has launched its first ever full English vegan breakfast as part of a series of exciting new dishes to meet growing consumer demand. In a bid appeal to an ever-growing vegan market, Wagamama is launching a brand new selection of plant-based breakfast dishes airport restaurants at Gatwick and Heathrow on February 6 to give hungry travellers a chance to stop and refuel. The new menu was created by Wagamama Executive Chef, Steve Mangleshot, and features nourishing dishes, each inspired by different flavours from Asia. The full breakfast range includes four new options such as the highly-anticipated The full vegan. 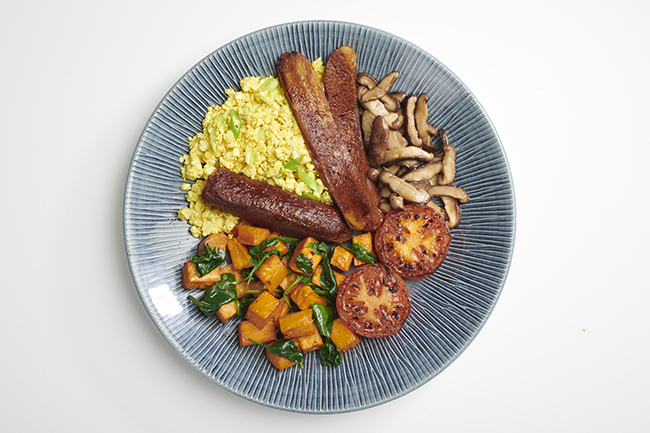 This hearty breakfast feast consists of two rashers of maple seitan ‘bacon’, beetroot and seitan sausages, scrambled turmeric tofu, grilled tomato, wilted spinach, sautéed sweet potato and shiitake mushrooms. If you can’t stomach a full English and fancy a light bite to enjoy en route, give the vegan roti wrap a try. 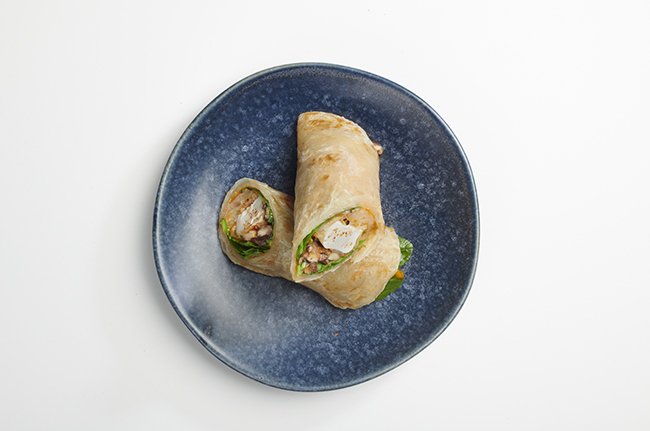 This Thai flatbread is served rolled up with spinach, mixed mushroom, shichimi tofu and sriracha mayonnaise. These new options join newly launched dishes such as Avocado toast with scrambled turmeric tofu, which comes with a lightly dressed mix of avocado and chopped tomato served on a slice of toasted multigrain bread. Last but not least is the chain’s Coconut porridge – a creamy porridge made with coconut milk and served with a raspberry compote and crunchy granola bowl with creamy coconut yoghurt and raspberry compote topped with toasted pomegranate, cranberry and raisin granola. Wagamama Marketing Director Andre Johnsone added: “We spend a lot of time talking to our vegan diners and team members to understand what gets them excited. This has meant that in the last few years we have been at the forefront of bringing vegan dishes to the market and we have also collaborated with a number of vegan chefs. Last year wagamama launched the highly successful vegan dish – the vegatsu which allowed vegans across the nation to at long last be able to taste the restaurant’s famous dish: the iconic katsu curry.